Some managers think they trust their employees but actions prove otherwise. Let’s look at an example. Now you have been around the block a time or two and you know that rotating Scrum Masters is not something that experts like Mike Cohn recommend. Many Scrum practioners believe that an assigned Scrum Master signifies the appropriate respect for this challenging role and provides the runway for a new Scrum Master to learn and grow in their position. You may have even worked in a company that tried this without success. There are many ways that you could respond; we will explore two. This is a strong and decisive manager. He states his case, provides reasons why he doesn’t agree, offers a solution and is ready to move on. A strong and decisive manager? Yes. An Agile manager? No. There is a big difference in this response. First, the manager asked a question. Why? Had the team thought through this idea? Or were they just throwing out suggestions to see what would stick? Was the team aware of the risks and trade-offs with their recommendation? The answers that the Agile manager received indicate that the team had put the appropriate thought and consideration into their idea. The team appears to be coming from a strong foundation, their thought processes indicate intellect and they appear perfectly capable of learning from their mistakes. Should we trust them? Agile says YES! 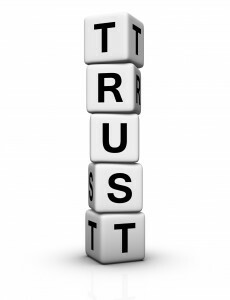 Trust is easy to talk about and even easy to think you are doing, when you are not. The next time you have a conversation with an employee, check yourself. How often to you offer your opinion? How often do you directly tell them what to do? Are employees coming to ask for your permission? Start trusting. That will lead to empowerment which will lead to Agility and that is better for everyone. 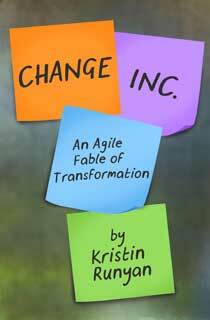 For more on Agile Culture, please visit the blogs on Teamwork, Transparency and the Organization.